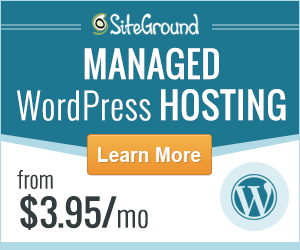 Since 2004, SiteGround has serving website owners with their web hosting service successfully. Along with providing hosting services, they also provide domain name registration facility. However, they are known as one of the best hosting providers all over the world. In this post, we will put them to the test. We will check out whether it is really that they are one of the best in the business or is it just clever marketing from their side. Now, if you are from anywhere in Europe then you will like this post. Because we will test and review SiteGround for our European readers today. So, if you are ready, follow along. First and foremost, let’s talk about the Data Centers of SiteGround. Data Centers of your web hosting provider play a vital role on the quality and stability of your website. It affects the loading speed of your website too. If you want to get the idea whether your web hosting provider is good or bad. Then there are two important things you need to consider about the data centers of your web hosting providers. First, the location of the data centers and then the quality of the data centers. Let’s know more about this two essential factors. In a nutshell, the distance between your website visitors and the data center where your website is hosted is a key element. If the distance is high then your visitor will get slow loading speed on your website. Conversely, if the data centers are closer to your visitors then they will experience a fast loading speed. Let’s say, a visitor is browsing your website from South Africa. Whereas your website is hosted on a data center somewhere in Europe. Ultimately, the visitor will get low speed and his experience of browsing your website will get worse. But, if a visitor from London visits your website then s/he will get rapid speed. And, it is because of the less distance between the visitor and the data center. To make it clearer, we will run an experiment later in this article. So, you will get a distinct idea about this fact. As this post is written for our European visitors, your best bet would be to get a web host which has data centers in Europe. It does not end on the location though. Your website’s performance also depends on the quality of the data centers of your web host. If the data centers have older hardware which was not upgraded in a few years then you should get rid of them. Also, a web host needs to have good backups on their power sources. Otherwise, you will experience downtime on your website on a regular interval. Needless to say that, downtime can be pretty bad for your website and your reputation on the web. So, we think you have got an idea about the effects of the location and the quality of the data centers on a website. Now, let’s see if SiteGround has what it takes to be a perfect candidate for our European readers. Fortunately, SiteGround has 4 data centers situated on 3 continents all around the globe. And, you will be delighted to know that they have 2 of those data centers on the European continent alone. This is undoubtedly great for the European website owners. Both of those data centers are situated in Amsterdam (Netherlands), and London (United Kingdom) respectively. And the other two are located in the Chicago (US), and Singapore (SG) respectively. So, if you receive most of your visitors from other parts of the world then it won’t be a problem at all. Because you can also use the other data centers if you want to. Most importantly, it is more likely that if you are from Europe then your majority of the visitors will be coming from within Europe. So, we would recommend getting your site hosted on either of the two data centers located in Europe. Let’s talk about the quality of the data centers of SiteGround. The most unique fact about SiteGround data centers is that they use SSD (Solid State Drive) on all of their data centers. At the same time, most of other web hosting companies use HDD (Hard Disk Drive). To be noted, using SSD instead of HDD can increase the loading speed a website up to 20 times. So, it is beyond doubt which one you should choose (Hint: SSD hosting). Another thing, the uptime of a website also depends on the quality of the datacenters. If the data centers don’t have enough power backup then they will go down time to time along with them your site will be down too. To get rid of these critical problems, SiteGround has their own generators and enterprise-class UPS technology. That’s why we like SiteGround so much. If you use their hosting plans then you won’t have to worry about downtime anymore. We will talk more about the uptime stats later in this article. But, before that, we think that it’s time to run some experiments on SiteGround. To check if they are good enough for our European users, we will conduct 2 experiments. The first test will be a speed test of a website hosted on the SiteGround web host. To run this test we will use this very website ReviewPlan.com as the test subject. We think it is time to disclose some insider information. We use SiteGround to host ReviewPlan.com. And, our website is hosted in the Chicago, US data center. So let’s know more about this experiment. To run this experiment we will use ‘Pingdom’; a website which is used to check the load speed of any particular website from different parts of the world. Here, we will use Pingdom’s Stockholm (Sweden) server to run this test. Because it is the best and only server of Pingdom from Europe. As the post is specially indented towards our European visitors we will use the European server. After the completion of the test, we will receive some important data about our website. That will include the ‘Performance Grade, Load Time, Page size, number of requests and the location from where the test was performed. Here, we have to look into the ‘Load Time’ most importantly. The ‘Performance grade’ will depend on this stat. So let’s begin. We are running the experiment from Stockholm, Sweden. We got an ‘A’ on the performance grade, it is the highest grade. So, it is looking good for us. Now, take a look at the most important stat for us. We can see that the ‘Load Time’ is only 685 ms. That also means we are faster than 94% of the websites tested on Pingdom. That’s staggering, isn’t it? It is not the first time we have run this test. But, truth be told, it is the best page load time of a website we have got after testing it on Pingdom. Believe it or not, 685 ms is very fast. To make it more graspable for you here’s an analogy. We need around 400 ms to blink our eyes. So, if you think about that then this website will be opened on the browser of a visitor just within a blink of an eye. And, there’s a debate what is the best page load speed for a website. There’s no clear answer to that. But, we can surely tell you that the less the better. However, if you want an answer, we would tell you to shoot for less than 2 seconds. The second test will be on the response rate of the server of our website. 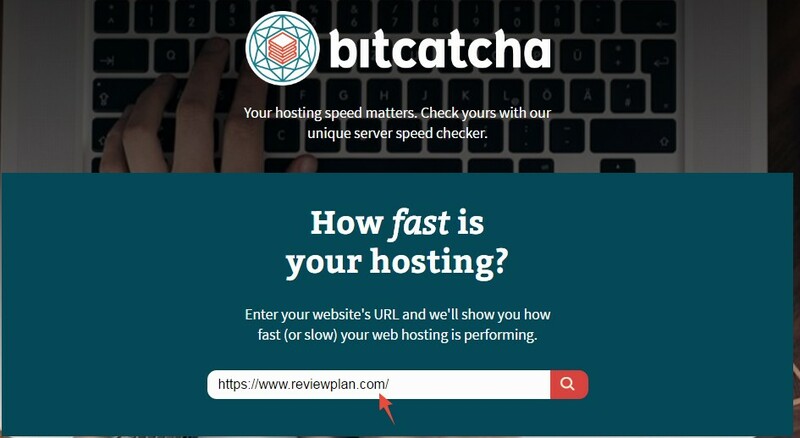 We will use bitcatcha.com; a website where you can test the speed of your web host’s server from 8 different locations of the world. The 8 locations are US (W), US (E), London, Singapore, Sao Paulo, Bangalore, Sydney, and Japan. Hoverer, we have to check especially the response time of London, UK. As this server is from Europe. Bitcatcha will use their servers’ form 8 different places of the world to ping the server where our website is hosted. Then it will show the results within a few seconds. We will use ReviewPlan.com again to perform this test. We need to check out the response time from London, UK most importantly. To be noted, the response time should be as low as possible. If the response time is low then your website visitors will get awesome experience browsing your website and vice-versa. Google has an answer to this question. They think it is better to have a response rate of around 200 ms or below. This highest ‘Performance Grade’ is ‘A+’. And, we have achieved ‘A+’ with ease. Now, it’s time to judge the performance of the SiteGround web host for our European readers. You can see that the response time from London, UK is unbelievably low. That is only 10 ms. Whereas Google recommends as high as 200 ms. So, it is clear as the daylight that SiteGround is far ahead in the race. That’s one of the most eye-opening things about the performance of SiteGround in the European reason. Now, we will check out all other response times as some of the visitors might come from other parts of the world too. Here we go. The response time from Japan is the lowest which is 3 ms. Then US (W) and US (E) have 9 ms and 27 ms respectively. After that, Singapore, Sao Paulo, Sydney, and Bangalore has 72 ms, 109 ms, 189 ms, and 308 ms respectively. So, we can conclude by saying that even though ReviePlan.com is hosted in Chicago, Us it is doing exceptionally well all over the world. That means SiteGround is doing an excellent job. So, we can reassure you that SiteGround can be the best choice for you if you are from Europe. You can host your website on either of the two European data centers of SiteGround. As our site is not hosted on Europe. We believe that after doing that you will be able to get better results than us. Hold on. What if you don’t get the majority of the visitors on your website from within Europe? Then you could host your site on other data centers of SiteGround. However, if your website receives visitors from all over the world then it is not possible to host your site all over the world at once. There’s a fix to that too. Now, we will talk about this. If you receive visitors randomly from around the world. And, you want to improve their user-experience then you should use CDN. If you are not familiar with CDN, then let’s clarify. CDN (Content Delivery Network) is a network of servers. The servers are scattered all around the world. If you use a CDN service then you will be able to store (cache) the data of your website on all of those servers at once. So, it does not matter where you are receiving the visitors. Your CDN service provider will take care of that. They will always deliver the content of your website from the nearest possible server to a visitor. That way, all of your visitors will experience awesome loading speed on your website. That’s why we use Sucuri CDN on this website (ReviewPlan.com). You might ask that why do we use Sucuri? The answer is simple. Simply because Sucuri comes with some additional features along with the CDN feature. And another thing, they have 11 data centers all over the world. It is like they have coverage all over the planet. For our Europeans readers, you can also take advantage of their service. They have two data centers in Europe which are situated in London and Frankfurt. Sucuri can increase the load speed of your website by 70%. 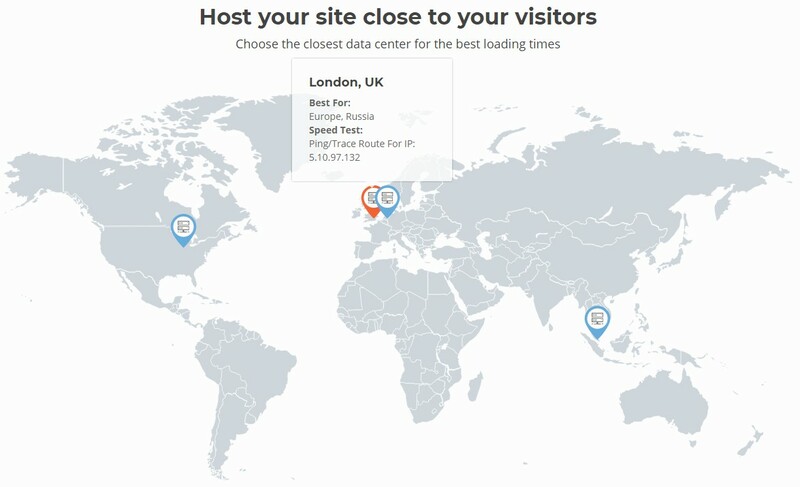 As you already know that the response time of ReviewPlan.com from London, UK was only 10 ms. Again, the page loading speed from Stockholm, Sweden was only 685 ms. It is possible because of the joint service of SiteGround and Sucuri. Sucuri has other awesome features. Let’s take a look at them. If you use Sucuri backup, then it will take full responsibly to back up your website automatically in a scheduled manner. You just have to set it up once. Do you want to stop worrying about the security of your website? Then you should try the ‘Sucuri firewall’. It is one of the best security systems for websites. Plus, they also have solutions for hacked sites. You might already know that the standard uptime percentage of a web hosting company should be 99%+. As we use SiteGround, we regularly monitor the uptime of our website ReviewPlan.com. Here is the screenshot of our website’s uptime stats. 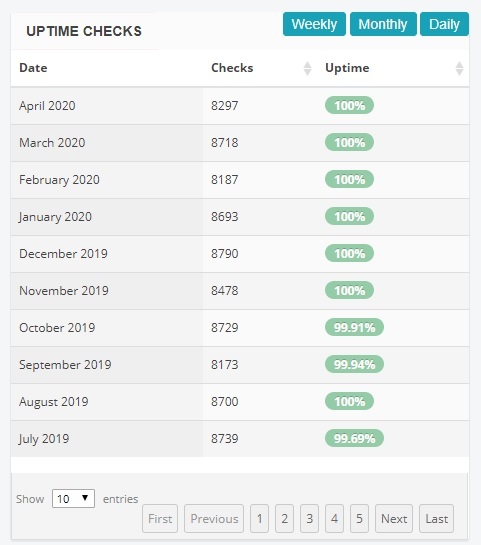 It is undeniable that SiteGround has maintained the industry-standard uptime constantly. Moreover, most of the months they have kept the uptime at 100%. It is astonishing. For this reason, we have to give credit to their reliable data centers. And, we are indeed satisfied with SiteGround. Another reason we like SiteGround is that their friendly and swift customer support. If you face any problem over the time using their service, you will be able to get a quick reply from them always. You can contact the support center 24/7, 365 days a year. You can contact them without a hitch using one of the three methods below. Whenever we got sucked into a problem, we have contacted them. And they have helped to solve our problems unconditionally. Plus, we should mention that they were prompt on their responses too. They will be of your service until your problem is solved. Conclusion: Should you go with SiteGround if you are from Europe? If you go back and take a look at all the results from those tests we ran. It’s crystal clear that you should use SiteGround if you are from Europe. Another important thing we should mention before we go. Siteground let you select your preferred data center when you are setting up the hosting account. At that time, you will be able to choose either of the two data centers from Europe. That will be good for you and also your visitors. Even if you have set up the account already, you can request them to move your website to other data centers and they will do that without asking a question. If you want to get further assurance about SiteGround. WordPress, Drupal, and Joomla all of these top CMS providers officially recommend Siteground. 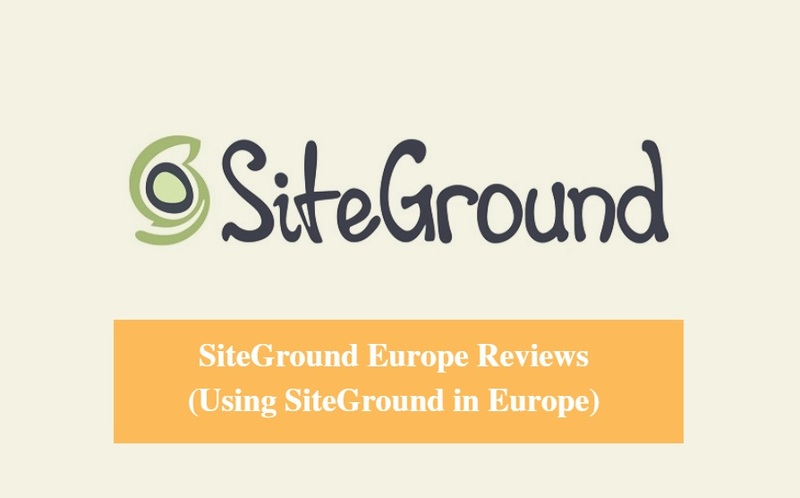 On top of that, as we have the first-hand experience using SiteGround, we highly recommend SiteGround to our European readers without any hesitation.